This entry was posted in Etc. and tagged gaming, guilds, raids, screenshots, warcraft, world of warcraft by Foton. Bookmark the permalink. I don’t know the first question. The second one is most likely because a developer oversight (or some internal tweak gone wrong) and left a bug. And there is no way to push a patch that quickly in such a big company, so it is postponed. I just have to ask: where do you FIND these people? 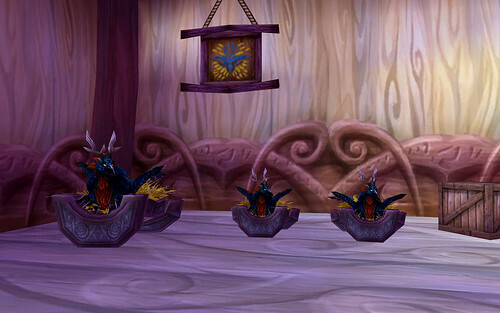 Northshire Abbey, doing their Welcome to WoW quests. We like to get them early, before they’re jaded and bitter. Ten guilds in a year is a lot. Warcraftrealms is where I’ve been checking a lot of our recent applicants. We had one that basically hopped guilds every week for a year, then applied to us. Most of the guilds being those “Join us in random_spelled_pop_culture_reference! Send tell for invite!”, but now that he was 70, he wanted some raidin’ action. I can accept if they want to break boss announcement mods for some reason which only their leetness can understand, and I can accept that raiders have to watch the boss targeting to see who’s going to be the lucky one to take an orb to the face, but they (the royal Developers They) can’t have it both ways. They didn’t mean to break the bossmods, and they’re gonna fix that.